Work has taken a turn where it’s much busier, so I haven’t had as much to update for the web. 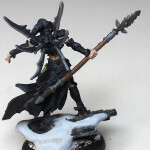 There have been cool things occurring with painting miniatures. First off, I completed a large commission project for a friend. 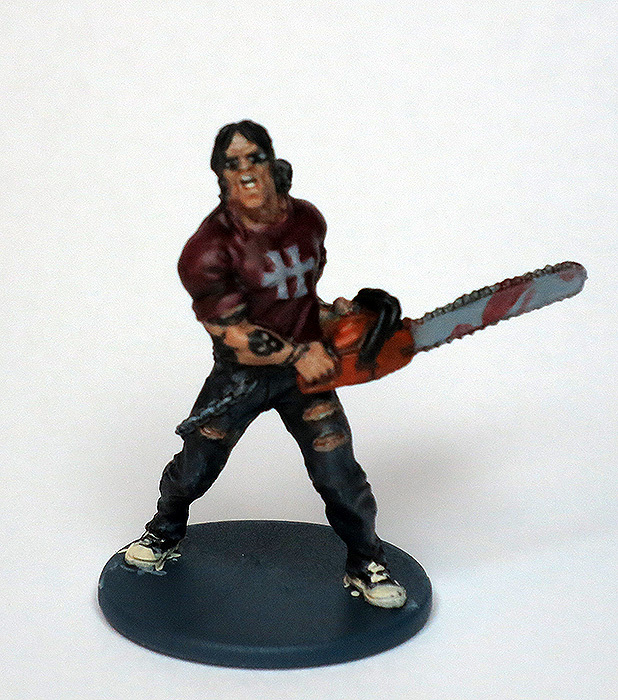 He had a lot of Zombicide figures for me to paint. Not the normal zombies, but instead the survivors and their zombie-version counterparts. (The game uses the term ‘zombivor’, which I detest). My buddy was in on the Kickstarter, so he acquired a large number of promo minis that you can’t normally buy. I took photos of them all, but sadly this was before I learned how to best use my camera for macro shots. Thanks again to another friend, Gardner, who showed me the way. Here is a closeup of one of the paired minis that I enjoyed the most. 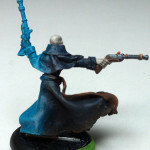 It’s blurry, but there are good amounts of freehand for the tattoos. I have learned to take better photos now, and I’d like to think my paints keep improving. This is an older paint job, Seamus from the Malifaux line. We took the photos recently as practice. 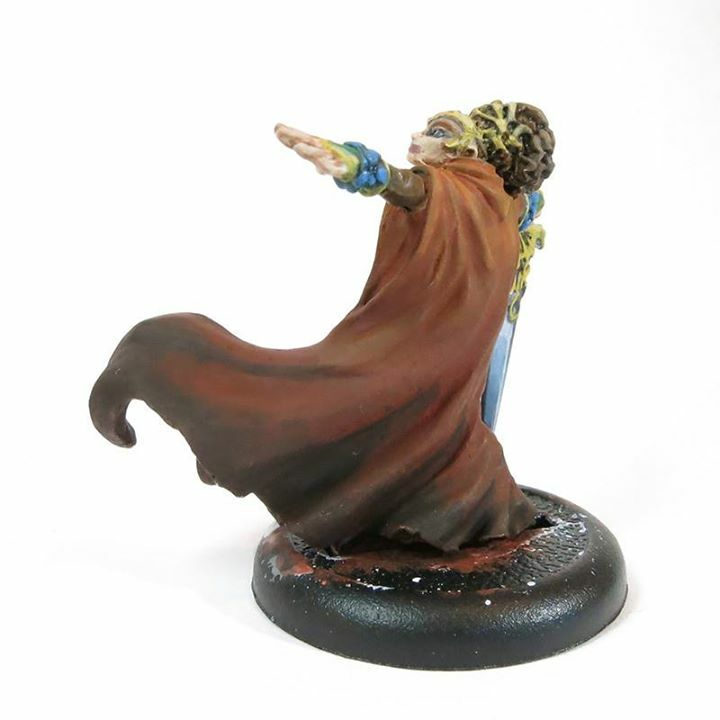 I really like the look of the figure. They’ve recently released new sculpts of him for the 2nd edition of Malifaux, as well as a larger hulked-out version. I think I’ll get one of them to see if I can match the colors. 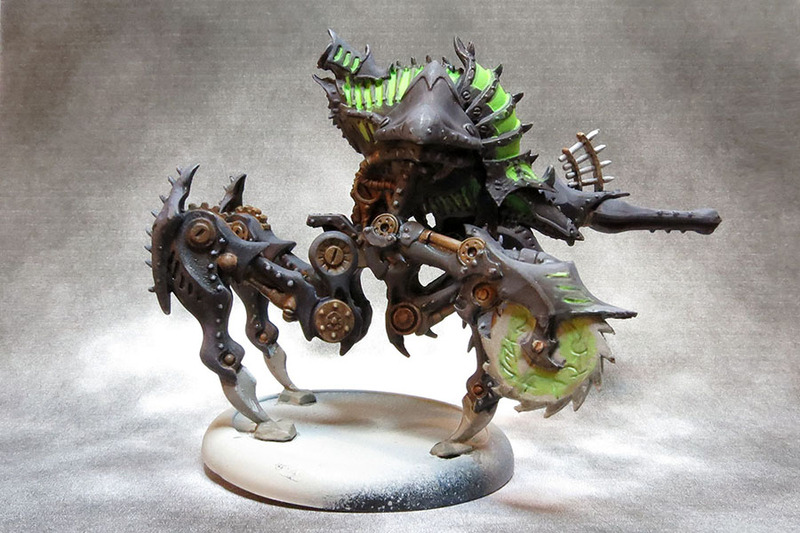 My most recent work has been for the Circle of Oroboros for Hordes. I acquired a good amount of them with the Hordes starter set. 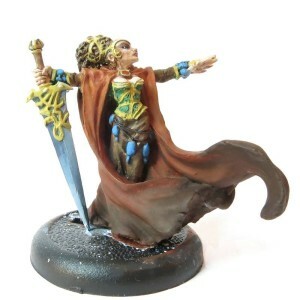 One of the others was Morvahna, the Autumn Blade. 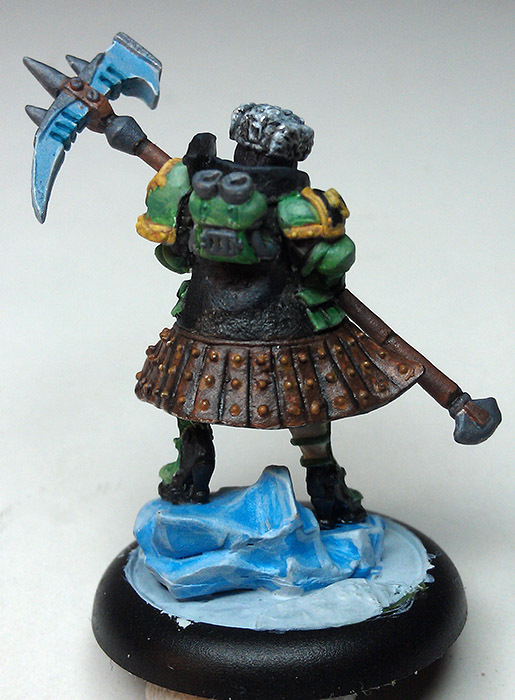 Her normal paint scheme was the typical greens and golds of Circle, but I wanted to use the seasonal colors of her namesake. Plenty more to come. Some units of werewolves and cyberzombies. 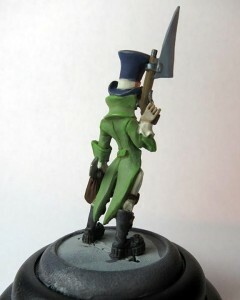 Plus, some finished pics of the primed minis from my previous post. 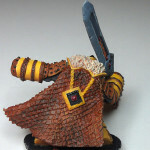 Also, I’m going to work on a new design to showcase my miniatures AND my web design talents. Four days off work vs. four days of food poisoning/stomach flu. Yeah, I’d have rather been at the office. 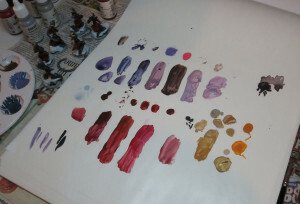 The malady has been so disruptive, I’ve found little time to paint. Most of it has been either watching television on the couch or sleep. Fun times. So, I’ve been Following a friendly competition on the site Muse on Minis called Play it Painted. 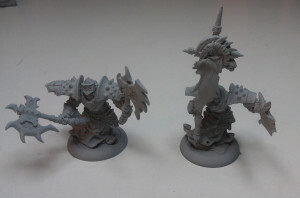 Forum members post images of their unpainted Warmachine minis at the start of the month as a pledge. By end of month, they should have photos of said minis painted. Painted minis earn you points, and at the end of the year, those with the most could earn a prize. 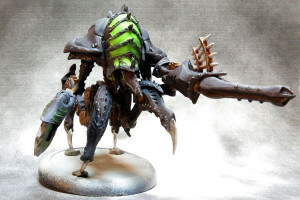 The prize doesn’t matter to me, but the group push to get your minis painted and keep at the hobby – that’s what interests me. I’m not sure if they’ll be doing it again in 2014 as the guy behind it was bowing out, but we’ll see. 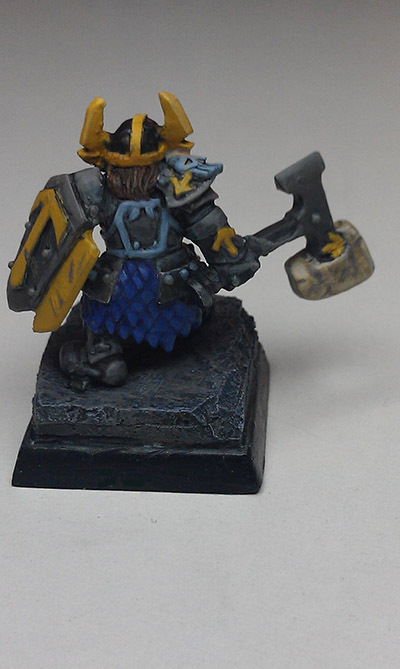 This seems like a good point to post some “before pics” of minis I currently have. 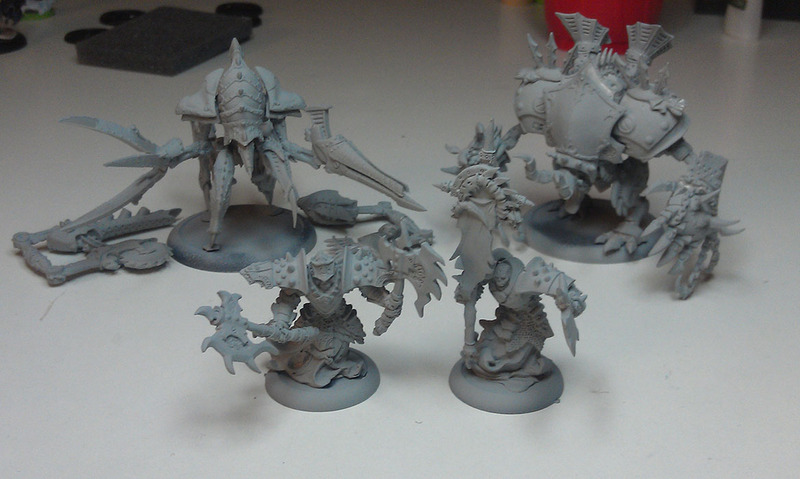 Here is the group shot for what I’m looking to paint in January. The two in the front are the Bane Thrall Officer and Standard Bearer. I already have a unit of these guys, but these two make the unit more durable in battle. Some people have a tendency to shoot my guys and I can’t have that happening. The top left is the Harrower helljack. It’s a cool model set where I can swap out the weapons and effectively have a different jack (Leviathan or Desecrator). 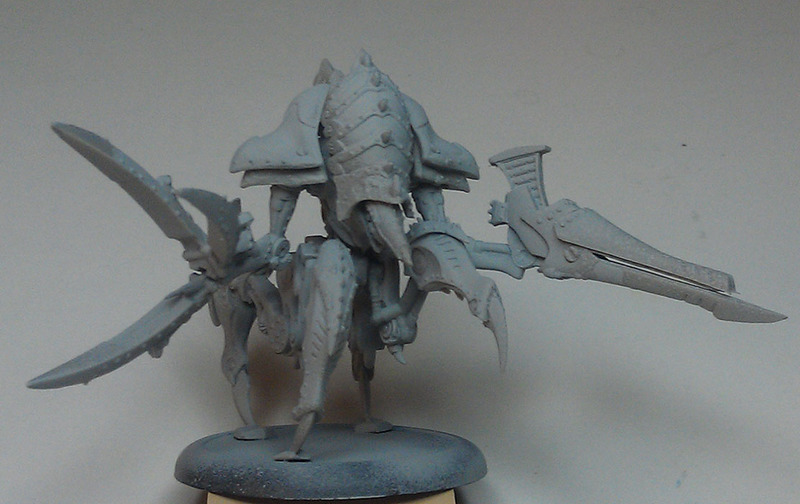 This is the first model I’ve magnetized, and it’s worked out well so far. Finally we have the Deathjack. This is a lesson in “don’t put crazy models completely together before painting.” I’ve started painting a little on it, and reaching between all of the spikes and obscured areas is going to be a pain. 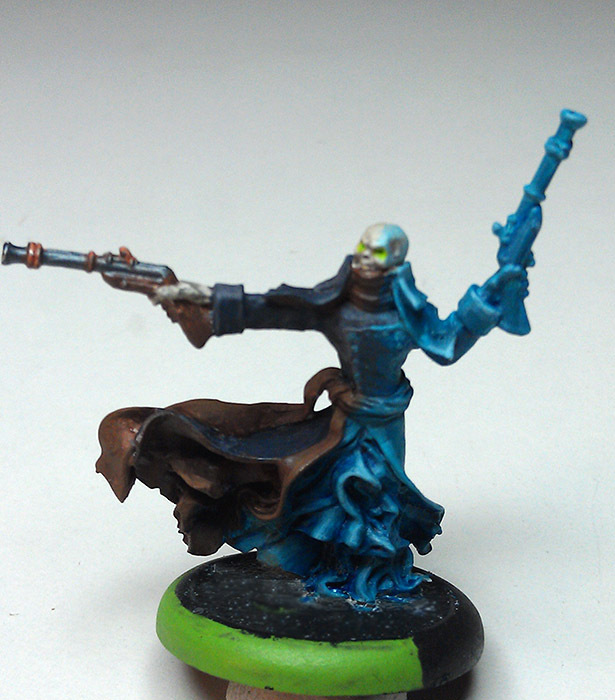 One thing will interfere with this paint schedule – my first commissioned work! A friend liked my painted work and wants me to paint his Zombicide survivor figures for him. It should be a fun change of pace to tackle these. Much like with my web work – it’s an odd feeling when someone wants to pay me for my creative endeavors. 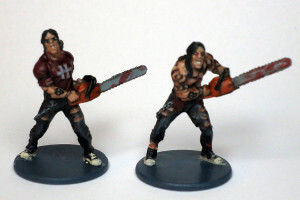 I’ll see if I can post a pic or two of the Zombicide figures as I go. Time to dust the cobwebs off of this blog. No major RPG news to report at this time. We’ve been looking at FATE Core for our next foray, but that’s been dragging due to my travel schedule. If I get some traction there, I’ll do my best to post about it. 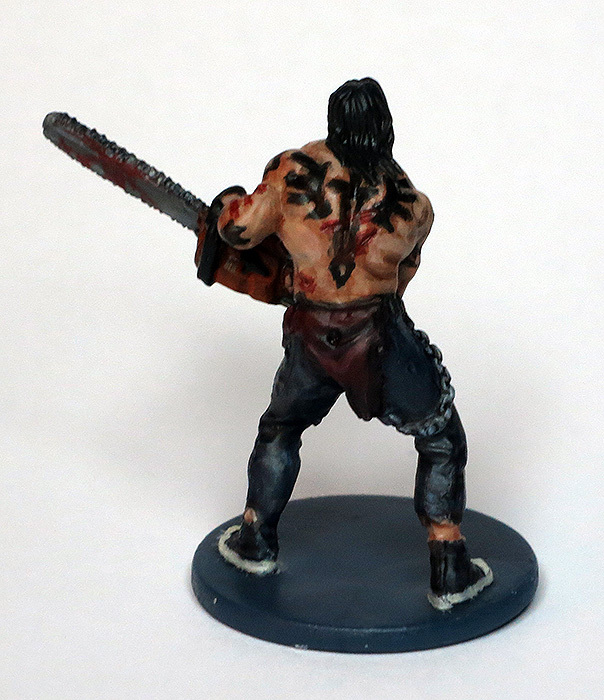 I have been painting miniatures again, which has been a lot of fun. 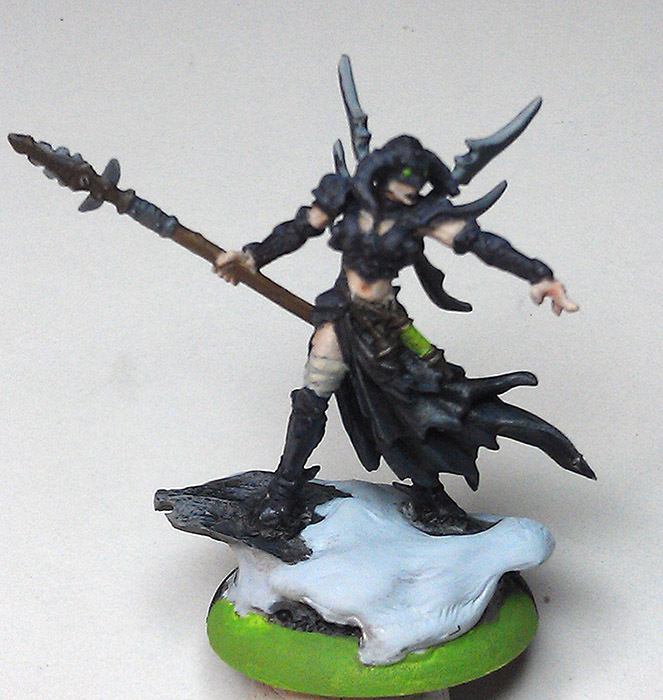 I received the Reaper Bones set mid-year, and worked ona few here and there. 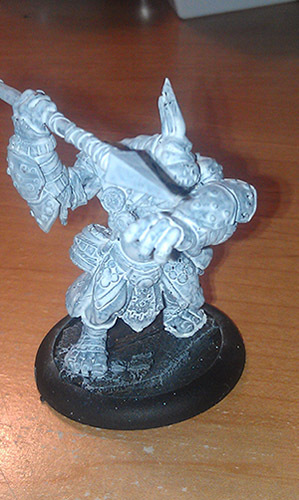 The big push has been for Warmachine, as my friend Spencer pulled me back into the fold. 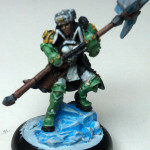 It’s been low-investment this time around, since I acquired so many miniatures last time around. 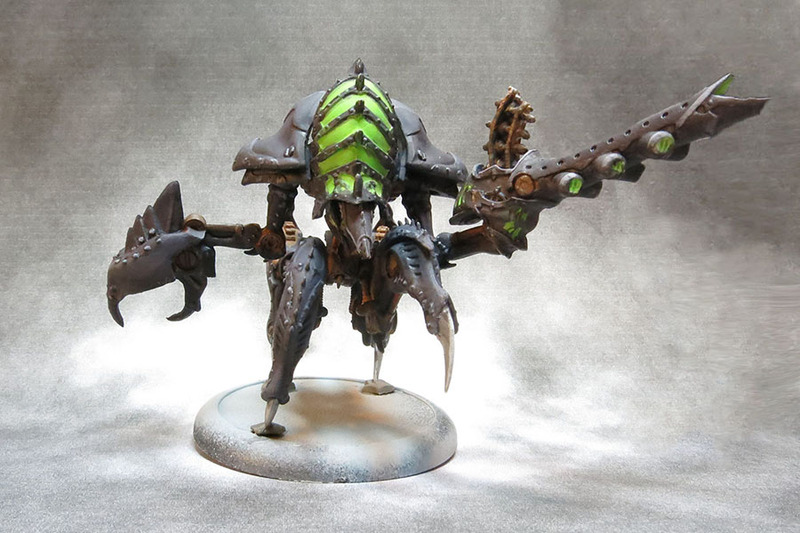 I’ve been painting up my Cryx forces and enjoying the games thus far. 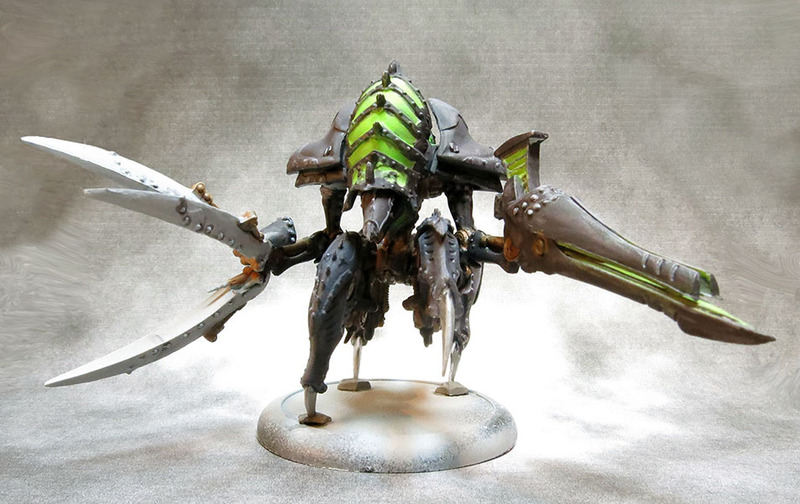 Pistol Wraith, from Privateer Press. 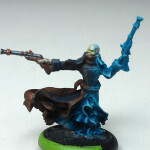 I had seen someone with a similar paint scheme, showing the wraith shifting to ghostly form, so I figured I’d imitate it. I’m very pleased with this one. 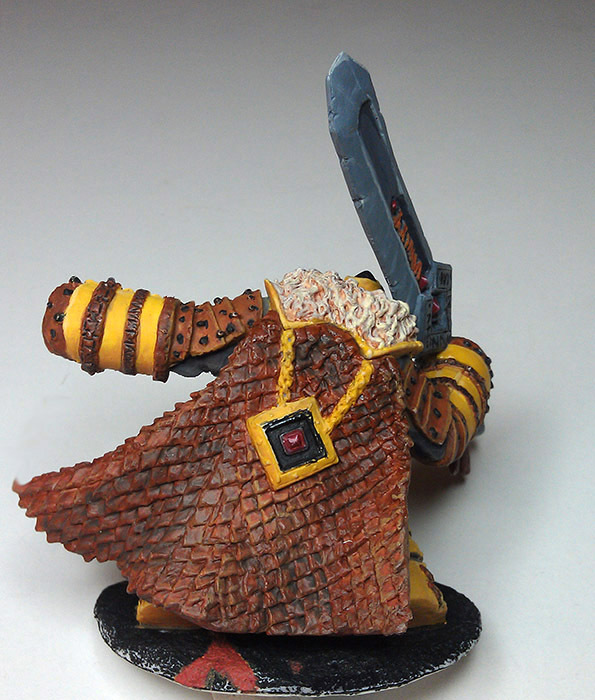 Epic Sorscha, from the Warmachine Khador faction. 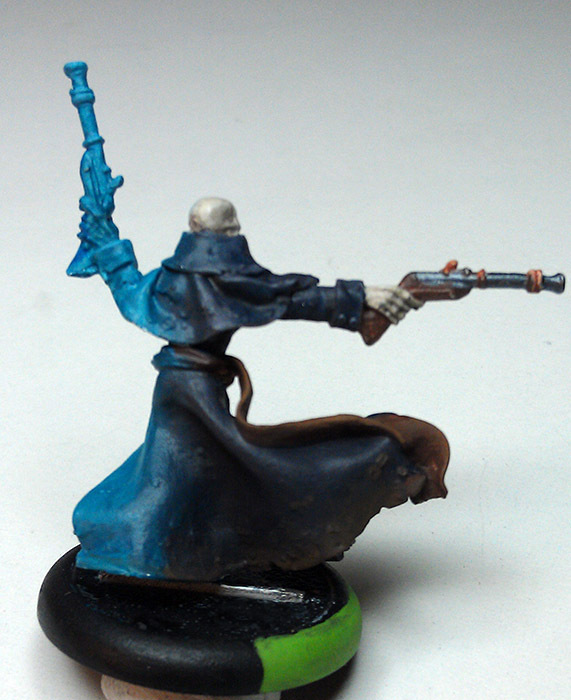 I painted this up for a friend, using his chosen color scheme. This pic drives home the fact that I need a better camera setup. 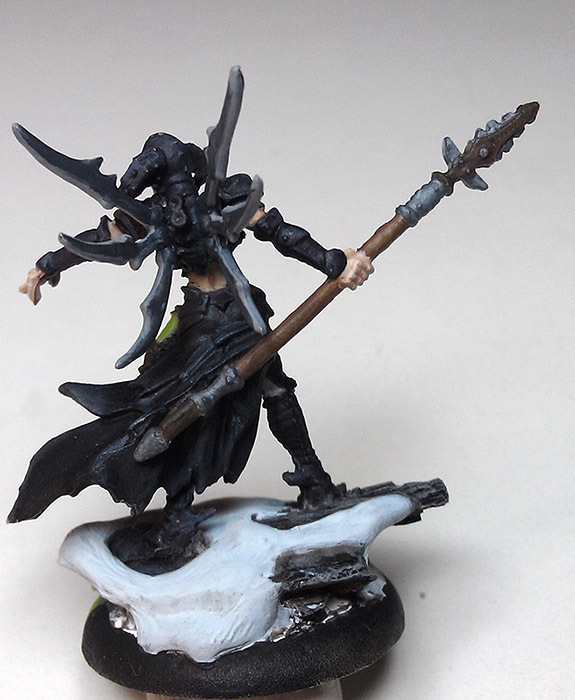 I don’t want to reveal all of the imperfections, but her face turned out great, and I hate that it’s blurred here. 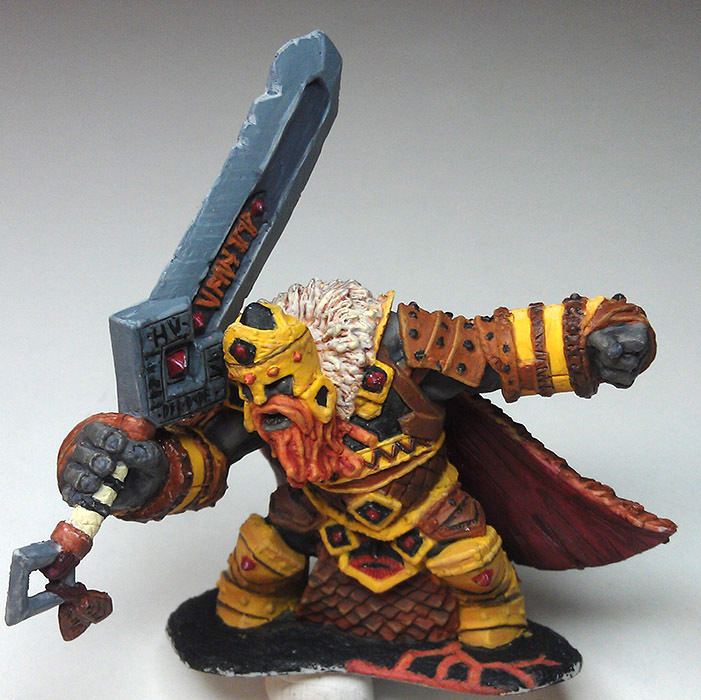 A fire giant from the Reaper Bones Kickstarter. 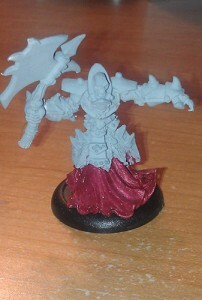 So many of these to paint, but they’re falling behind the Warmachine figures that I’m currently using. 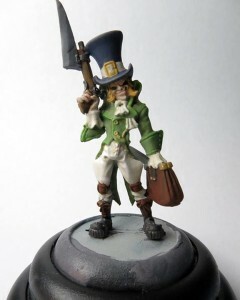 Time and competing hobbies conspire against me, but I intend to spend at least a few hours painting minis this weekend. 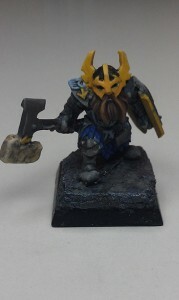 To help motivate me, I’m posting a few “before” pics of the minis I’ll be working with. 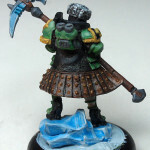 That way, if I haven’t touched the minis, then when I see these posts I’ll feel guilty and use that as a driving factor. Both figures are from Privateer Press, in their Hordes/Warmachines lines. 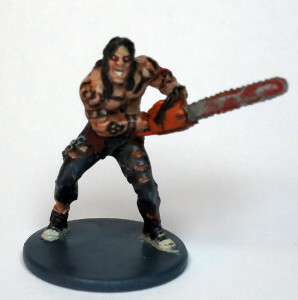 The undead with the axe is a Bane Thrall. 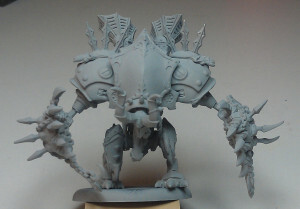 Looks like I need to add some spikes to its shoulder. The troll on the right is a Trollblood Impaler from the boxed set. 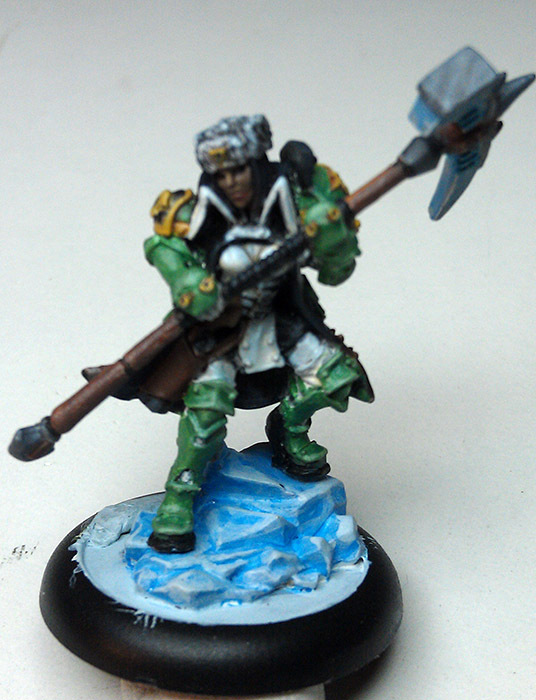 I went through a wargaming phase where I acquired a lot of Privateer minis, playing their skirmish games. The games were fun for a while, but I never stick with competitive games for long. Fortunately I love the minis and could find a use for them if I return to any version of map and mini-enhanced Dungeons & Dragons. 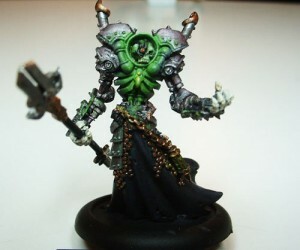 Here’s a cool iron lich (Asphyxious) that I painted a few years ago.